If you’re a mechanic who’s had to pay out of your pocket for things like new tools, tool upgrades and replacements, union fees, washing your own uniform or even the rare mileage expense, you could be entitled to a tax rebate. Whether you’re a self-employed mechanic, currently working at a garage, fast fit centre or franchised dealer in full or part-time employment, Brian Alfred can help you when it comes to your tax affairs. If you’re a PAYE mechanic then we could help you claim your tax rebate – not just for this year – but from the past four years. Our tax experts have years of experience in claiming tax rebates. We’re trusted by thousands of clients to get a maximum tax rebate in their back pocket. We never charge upfront fees and only take one when you agree your rebate. Did you know that you could be entitled to claim a further £120 per tax year if you’re a uniformed mechanic? Find out more on our guide to uniform tax allowance. Getting stuck in a telephone queue with HMRC can be a drain on your time and money. The team at Brian Alfred will work with the taxman on your behalf, saving you time spent on the telephone so you can get on with more important things. As a self-employed mechanic or garage owner, we’d imagine you have enough on your plate already without having to deal with submitting your self-assessment tax return by the end-of-year deadline. This is where Brian Alfred can help. Our expert team can take the hassle out of completing your tax return. Simply share the relevant information with us, we’ll then calculate your tax liability and send your self-assessment return to HMRC on your behalf. This means you can focus on your day job. We run a really slick process and leave no part unchecked. 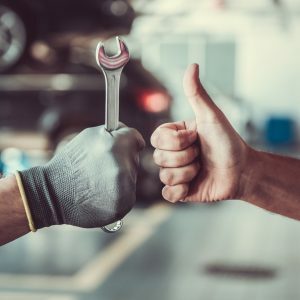 Our eagle-eyed experts hone in on any opportunities where a self-employed mechanic like yourself can reduce the amount of tax you owe, all in line with HMRC rules. Can I Claim a Tax Refund if I Leave the UK? How Do I Complete a CIS Tax Return?